Just finished a delightful book called Me, Too: Extraordinary, Everyday Stories That Connect Us, by Tim Cusack. Tim, a popular motivational speaker, actor, and natural-born raconteur, draws from his lifetime of experiences and observations to create a book that couldn’t be put down — and, in fact, wasn’t. 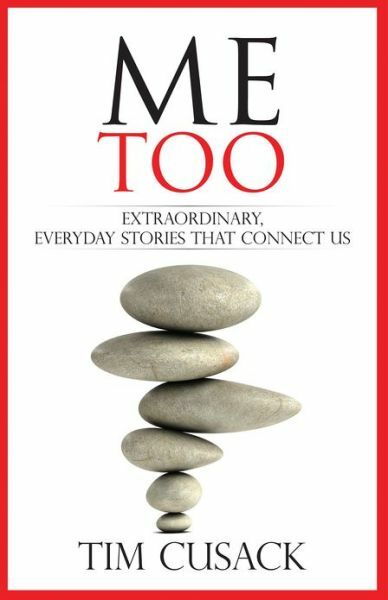 It was devoured in less than 24 hours.These stories are captivating, heartwarming, and humorous — sort of like Paul Harvey meets Chicken Soup For the Soul…with a smidgeon of Garrison Keillor, Jerry Seinfeld, and the Dalai Lama added for good measure.The overarching theme of Me, Too is compassion, and how we’re all connected by the common bond of humanity. So it’s a perfect fit for those who believe in the power of love.